Brenna Clarke Gray (middle) helps you make real-life connections in the study of literature. Do you have bad memories of high school English class? So much that you're dreading taking English at college? Have no fear, because Douglas English instructor Brenna Clarke Gray speaks your language. 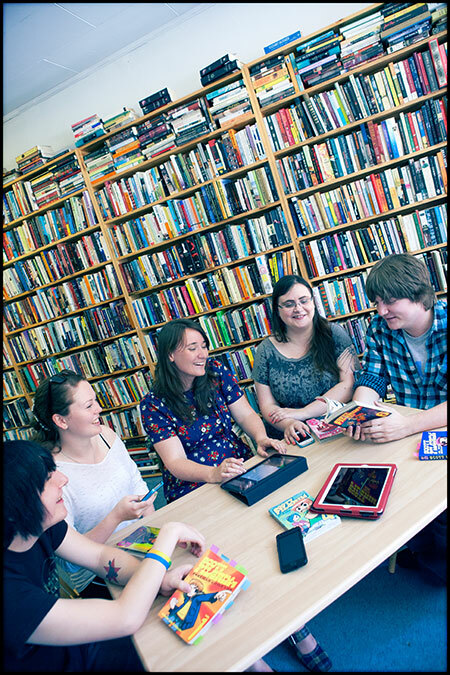 A lover of new technologies and different ways of learning, Brenna will help you find your way into the study of literature at a level you can appreciate. Brenna assigns her students to post articles on Wikipedia. Find out how it makes them more conscious writers in a story we published last year. Read more inspiring stories about our students and instructors in our new viewbook.